Week 3 is here with plenty of options for player props. Here are some of the options for the early slate to take make some prop money. Back for Week 3 action and there's some options worht looking at for early Saturday slates. Watson gets his first home start of the season and Carson Wentz gets his first start since tearing his ACL last year against the Rams. Watson finally gets to play at home and has a full arsenal at his hands with Will Fuller back after a productive week at Tennessee in Week 2. 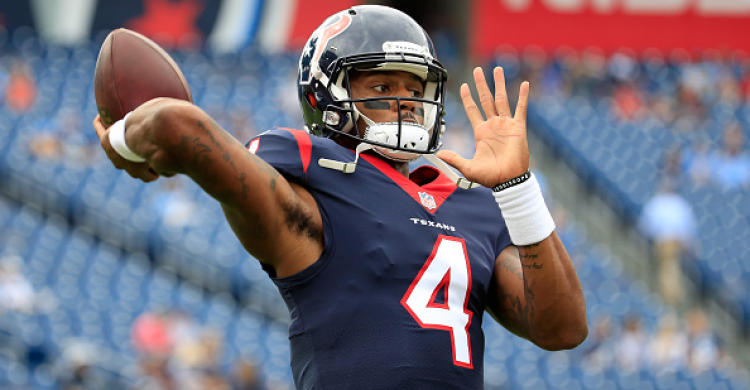 In games played with Fuller and Hopskins, Watson has topped this number in 4-of-5 games. He hasn’t hit his stride this year yet, but getting the Giants on a short week might be just the recipe needed for success. Last year's standout for the Eagles until his injury, Wentz returns to the field at home and gets the Colts. Last year, pre-injury, Wentz had nine games getting over this total in 13 games. He didn't hit the mark in three blowouts, and he wouldn't be getting the start if he wasn't completely healthy. Part of his game is running the ball in the "RPO Happy" (Thanks Collinsworth). The Colts gave up 14 yards last week to Alex Smith and against mobile QBs, have struggled. Look for Wentz to make a statement that he's back early. Coleman will get the bulk of carries against the Saints defense, one that has been attacked this year and goes on the road for the first time. Coleman is averaging 5.0 Yards-per-carry thus far, good enough for 126 yards on 25 carries with a long of 36. The Saints have been beaten through the air this year, and that might be the case anyways here, but Coleman is going to get a lot of touches and his big-play ability is hard to ignore. Keenum hasn’t exactly been a good option so far this year in Denver. His three TDs to four picks against relatively bad defensives are alarming. Now, he gets the Ravens on the road, coming off a long week with a Thursday loss to Bengals. Dalton’s terrific first half was followed up by a 10-for-17 and 87 yards performance in the second half. It seemed like Baltimore was able to figure it out in the second half and their defense back at home this week is a tough task for the cross-country traveling Broncos. With no Eric Rowe, Patrick Chung or Trey Flowers, the secondary and pass rush are in trouble for the Pats. They can still stop the run, but Detroit isn't exactly the most run-friendly team in the world. Stafford ahs easily surprassesd the 40.5 mark in both games this year, and if this game goes to form, the Lions are going to be heind early. As long as it is not a blowout, this number should be safe.